You can make an instrumental impact on our efforts to continually improve the quality of life for residents within the Borough of Brooklyn as well as the City of New York. With your generosity and support, BCA will be able to channel its resources more effectively to implement the much needed services and programs ranging from Day Care to Senior Citizen Centers to fully address the community needs. You can support us in the following ways: 1) monetary donation, 2) donation of goods, and 3) volunteering. Please enclose this Donation Form (link) along with your check. We welcome supplies, furniture, etc. which we can use for our different programs. Please call us at (718) 438-0008 to discuss this. 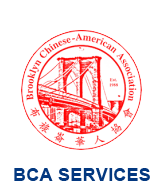 You can donate your valuable time by volunteering at BCA’s Main Office or one of its service sites across southern Brooklyn. Please call us at (718) 438-0008 for more information.